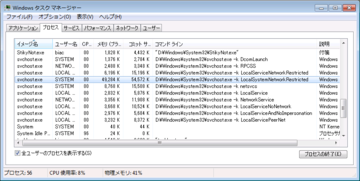 続きを読む "[Vista] [メモ] SoundMAX と audiodg.exe、 というか AEADISRV.exe のこと"
なんかが CPU を喰ってるなぁ、 って時には、 タクスマネージャーを覗いて大喰らいなプログラムを見つけて対策を考えます。 が、 困ったちゃんは svchost.exe ! 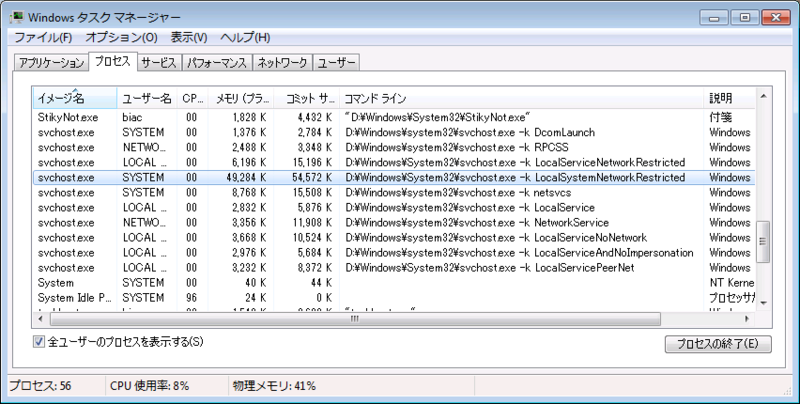 続きを読む "svchost.exe -k ほにゃらら …ってナニよ～?" After Win Vista Ultimate SP2 install: Static IP networking does not work after reboots. 3. Here you'll need to select the CLSID of your network adapter where you change the settings. You'll probably recognize it by looking at the value IPAddress that will have the IP of this adapter. 4. Open the value "DefaultGateway" by doubleclicking it. You will see a list of all the gateways that disappeared. Very likely, the first line will be empty. Manually remove this first empty line, click OK and reboot your system. 今のところ、 安定性も問題無し。 これで、 あとは、 明日以降リジュームし続けて大丈夫かどうか、 くらいかな? 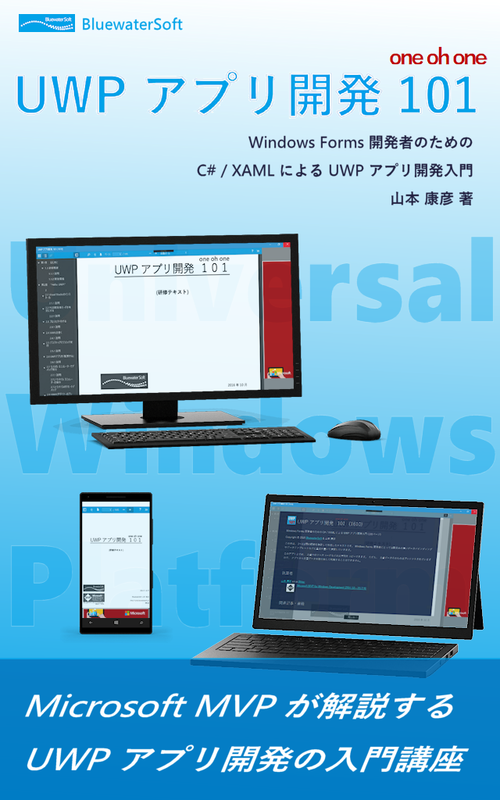 続きを読む "2007年 December Windows Vista アプリケーション互換性アップデート ( KB943302 )"
While we know that most customers who update from Windows Vista to SP1 will NOT be affected, our approach is to improve the experience for all our customers. To do this, we will begin making SP1 available through Windows Update in mid-March, giving us time to work with some of our hardware partners to make adjustments to the installation process for the affected drivers. 64bit Vista は、 メモリ 4GB のマシンにインストールできない?